*This is a sponsored post written by me on behalf of Tyson Foods and SheSpeaks. All opinions are entirely my own. WONDER WOMAN and all related characters and elements © & ™ DC Comics and Warner Bros. Entertainment Inc.
Summer time is full of fun, excitement, and plenty of activities. However, we can’t spend every day hitting the beach, or hiking the trails. So instead we spend time playing in the yard. While the kids are pretending they are their favorite super hero and saving the world, the adults have to make sure that everyone takes time out to eat lunch. My kids enjoy their favorite sandwiches and other quick meals, but as a mom, I want to make sure they get a hot meal for lunch. With this in mind, I sought out a lunch solution that I could easily and quickly prepare, but that the kids also liked! Thankfully, we were given the opportunity to try Tyson® Chicken Nuggets, with the help of SheSpeaks. 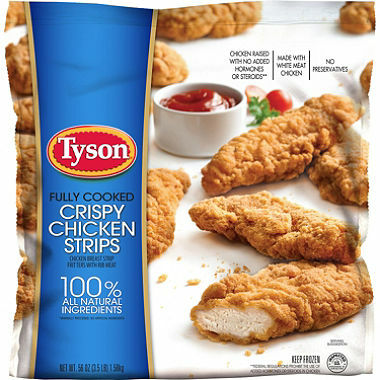 So I stopped by my local Sams Club and picked up a package of Tyson® Chicken Nuggets. 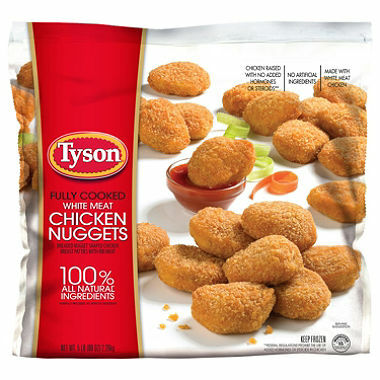 Once back home I discovered that Tyson Chicken Nuggets are an easy solution, allowing me to provide a timely, hot meal for the kids. While they are pretending to be super hero’s outside saving the world. I’m inside pretending to be one of my favorite supers, Wonder Woman, saving lunch one meal at a time! Once I have preheated the oven I can have my kids eating a hot lunch that they love in as little as 15 minutes, what could be easier than that? 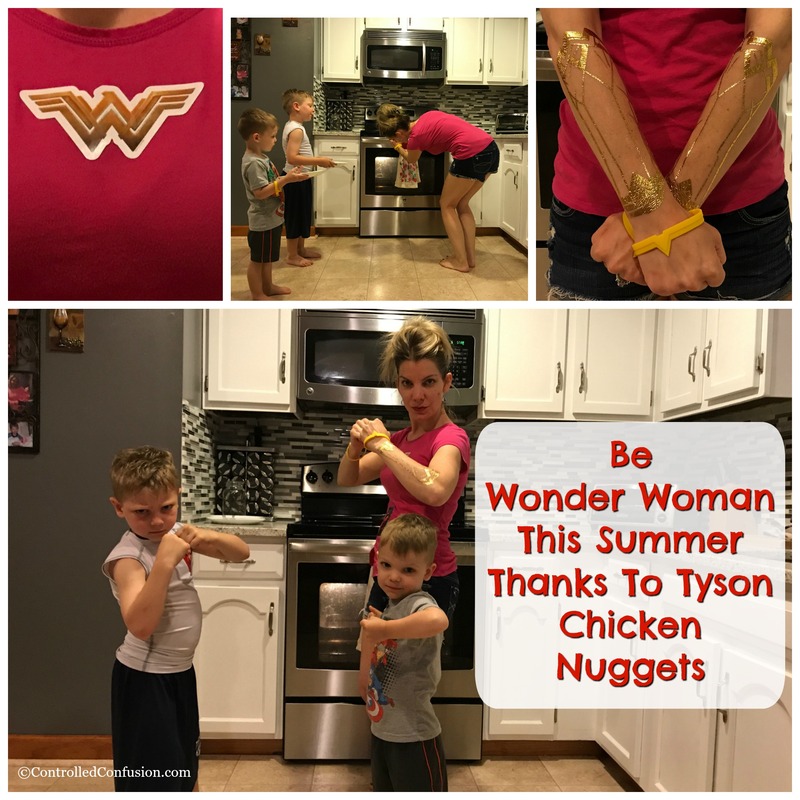 With Tyson Chicken teaming up with Wonder Woman you can provide your kids with the protein to fuel them on all their summer quests! You can find a variety of Tyson Chicken products at Sam’s Club. 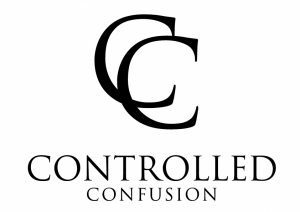 Including Chicken Nuggets, Crispy Chicken strips, Breaded Chicken Breast Tenderloins, and Chicken patties. All of which are quick and easy to prepare, affording your little ones a hot lunch without sacrificing the entire day! I have to admit it was so much fun putting on my armor and being Wonder Woman! 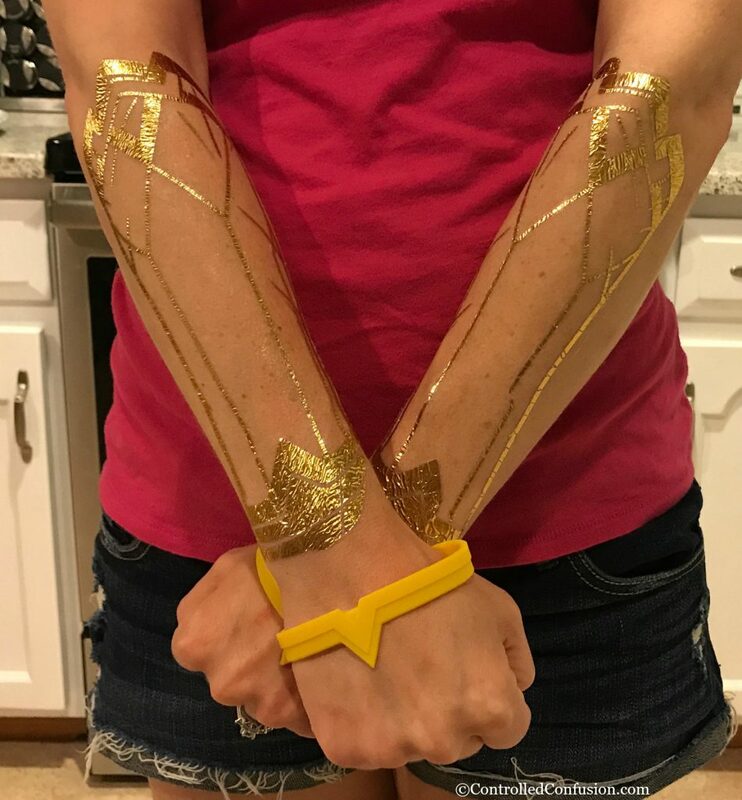 Curious to see how you bring out your inner hero like Wonder Woman? Take this quiz to find out! So what are you waiting for? 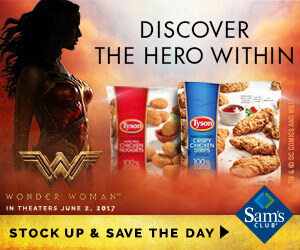 Head down to your local Sam’s Club to try Tyson® Chicken Nuggets for yourself and be sure to check out the new Wonder Woman Movie in theaters now! I LOVE THE CRISPYNESS OF THE TYSON ‘S CHICKEN. Very easy to make.